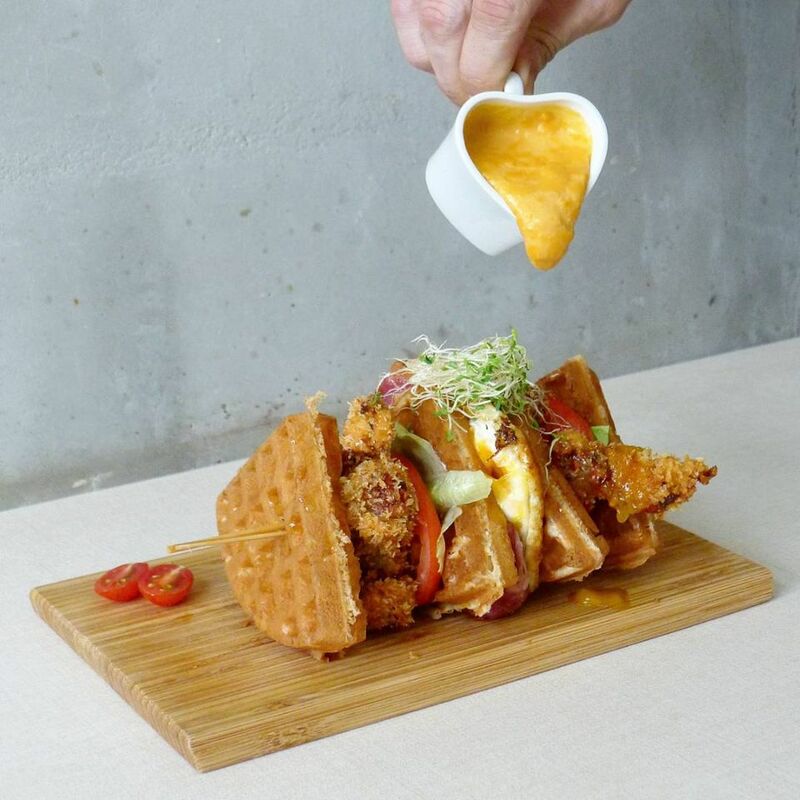 The salted egg yolk craze is here to stay, and Frisson celebrates our undying love for it with savoury waffles served with deep-fried soft shell crab, fried egg, bacon strips, and a generous serving of salted egg yolk sauce. 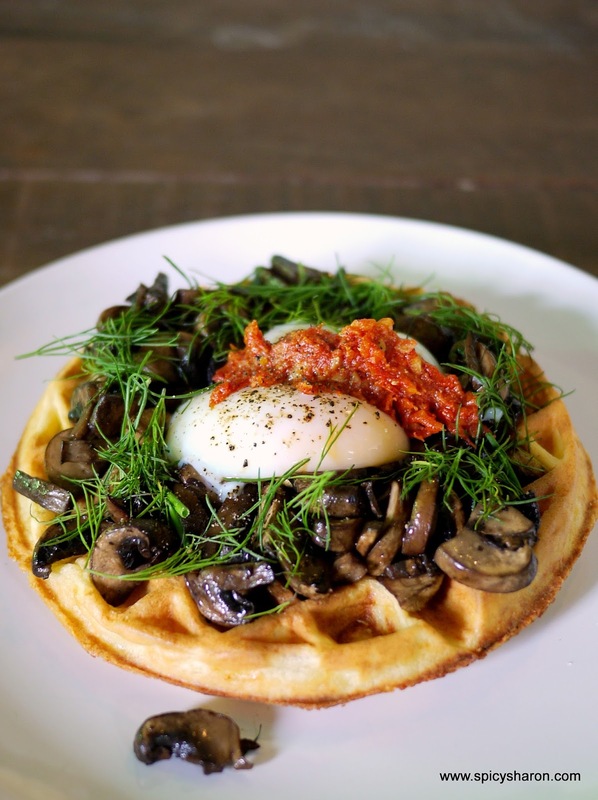 If you're looking for a savoury breakfast-inspired waffle, check out VCR's delectable potato waffle topped with poached egg, sautéed button mushrooms, fresh herbs, and a dollop of chunky salsa. Looking for more breakfast-inspired waffles? 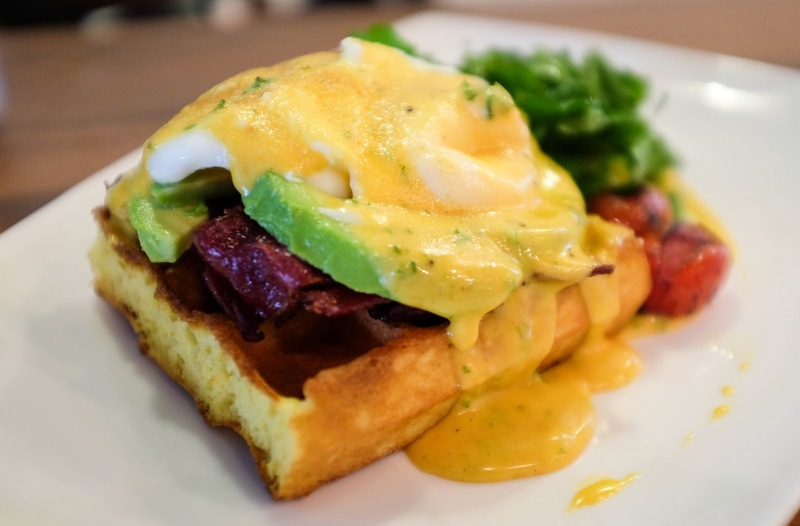 Then you gotta check out Chequers and try their amazing cross between a waffle and eggs benedict. The dish comes complete with crisp bacon, avocado slices, poached egg and a whole lot of Hollandaise sauce. Another must-try here is the Chicken Cobb Sandwich. 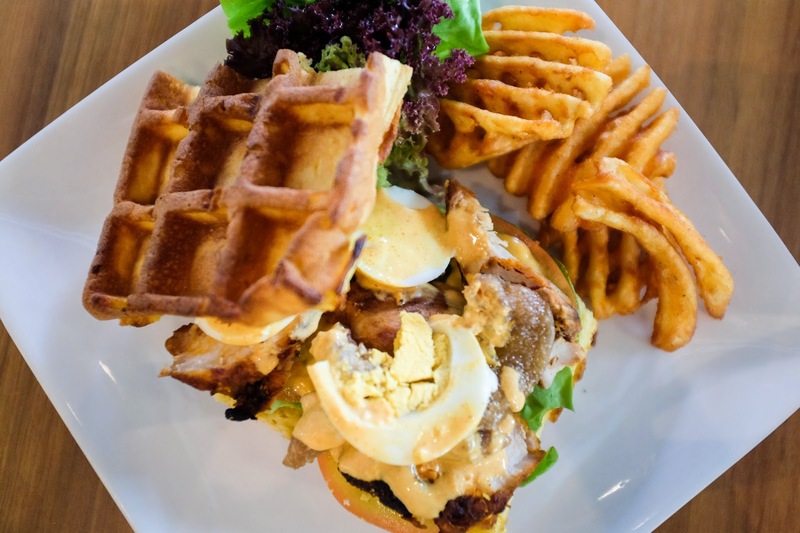 Sandwiched between the fluffy waffles is a yummy mix of bacon, avocado, hard-boiled eggs and curry mayo sauce. Disney fans will get a kick out of seeing their favourite characters re-imagined as waffles here at Fluffed. 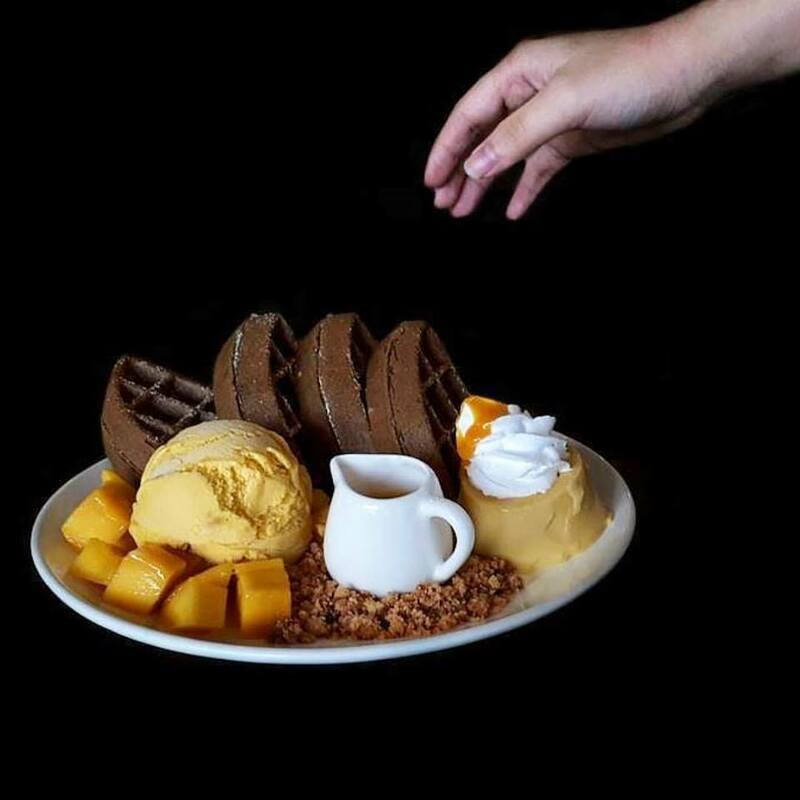 Check out the Beauty and the Beast, an interesting mix of fluffy cocoa waffles served with mango ice cream. 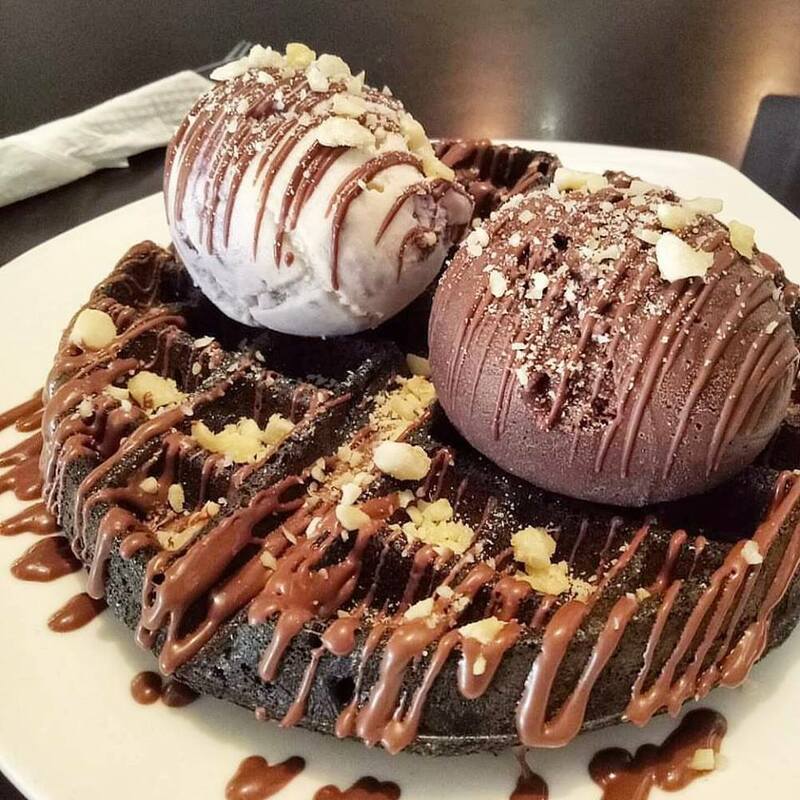 Fans of Queen Elsa will be treated to charcoal waffles served with fresh berries, topped with lavender mint ice cream and chunks of nougat. If you're in the mood for some funky flavours, Go-Getter will not disappoint. 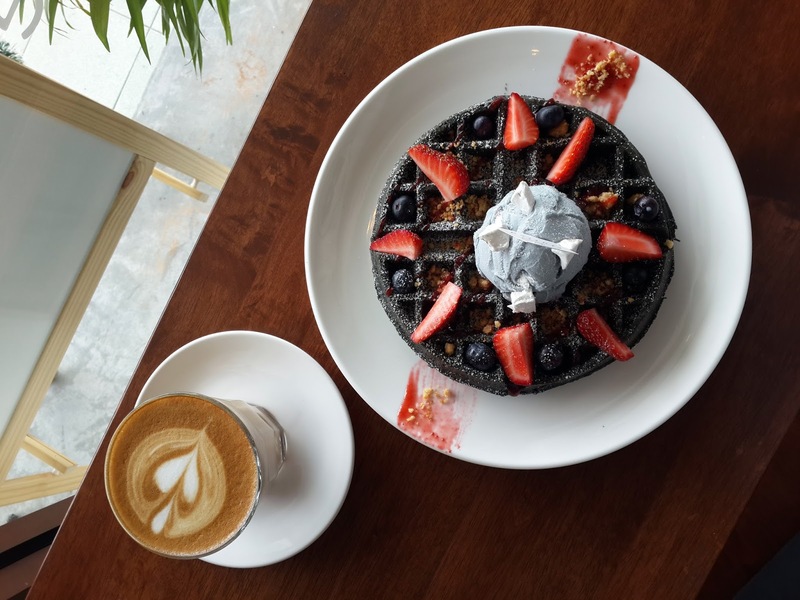 The AngelaBaby is a must-try - the red velvet waffle is served with cream cheese and chocolate, topped with ice cream and a mix of berries. 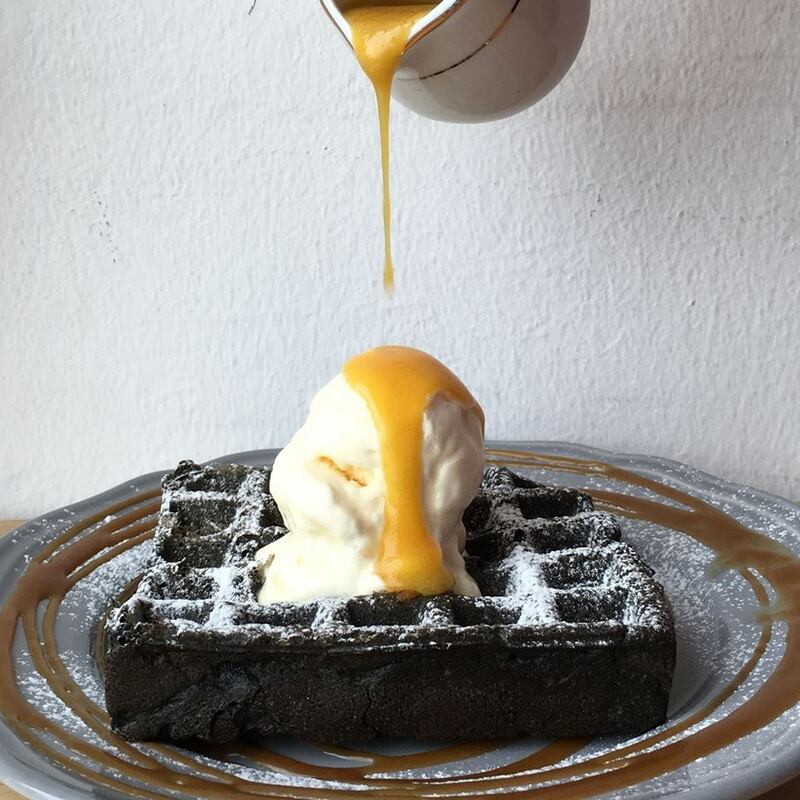 If you want something to satisfy your salted egg yolk cravings, go for the crowd-favourite fluffy charcoal waffles served with ice cream and the deliciously creamy salted egg yolk sauce. 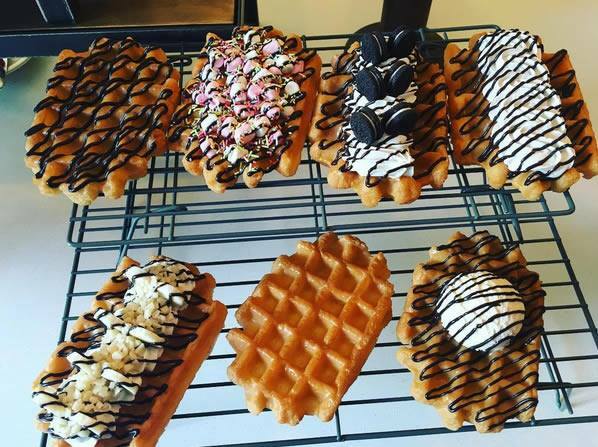 Wafflemeister is gaining a huge fan base with its handmade Belgian waffles, made using premium imported ingredients. You can choose from a range of exciting toppings, from the classic whipped cream and strawberries to Oreos with chocolate fudge. When one waffle isn't enough, it's time for Fatbaby's Get Stuffed. 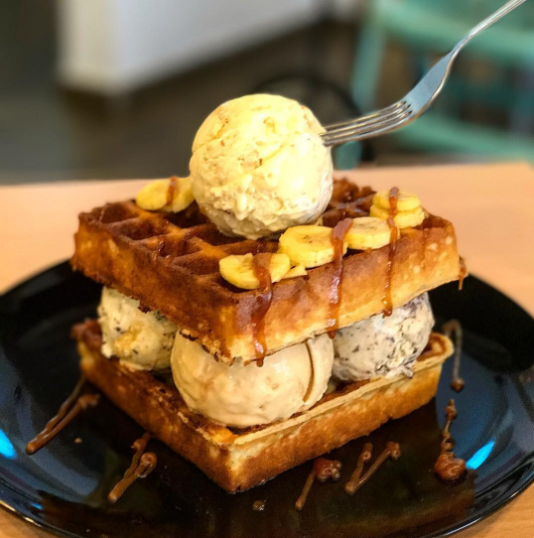 The sweet sandwich starts with two buttery waffles, four scoops of ice cream arranged in between and one on top, and a drizzle of caramel sauce. Look out for fun new flavours by this beloved artisanal ice cream parlour, like the pretty Raspberry Lychee Waffle. 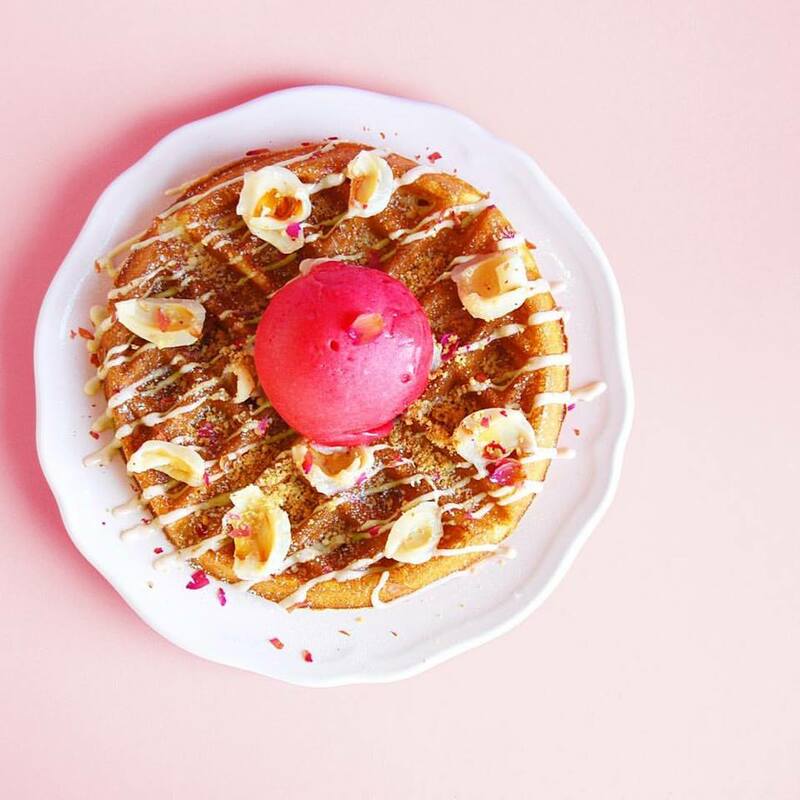 This dainty dish infuses Inside Scoop's signature buttermilk waffles with raspberry, which is then topped with lychees, rose petals, and your choice of ice cream. 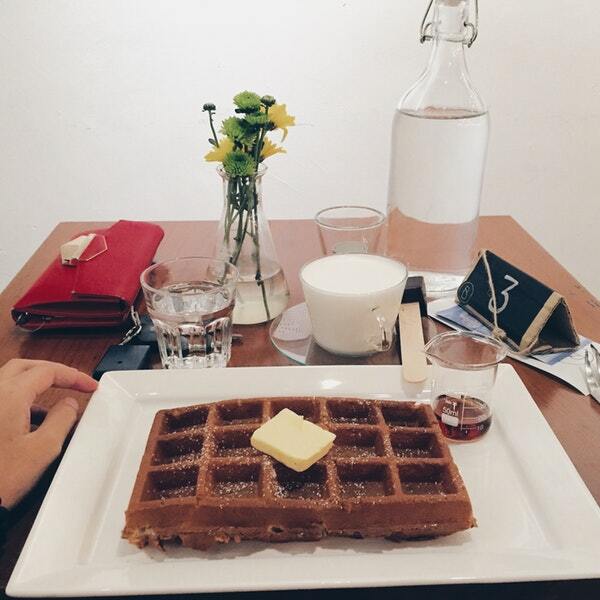 When you're in the mood for something classic, you can't go wrong with the Nutella Waffle. The chocolatey dessert is perfect for true chocoholics! 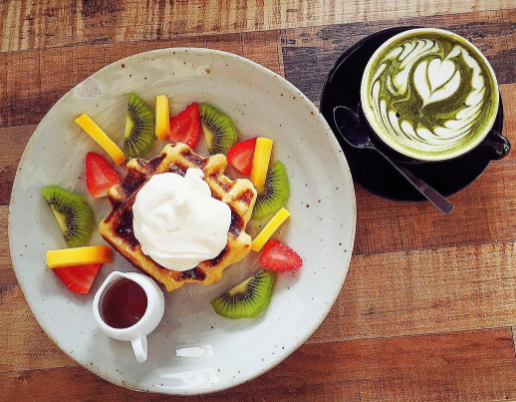 The Green Tea Waffle continues to be a crowd favourite at this house of artisanal Belgian waffles. 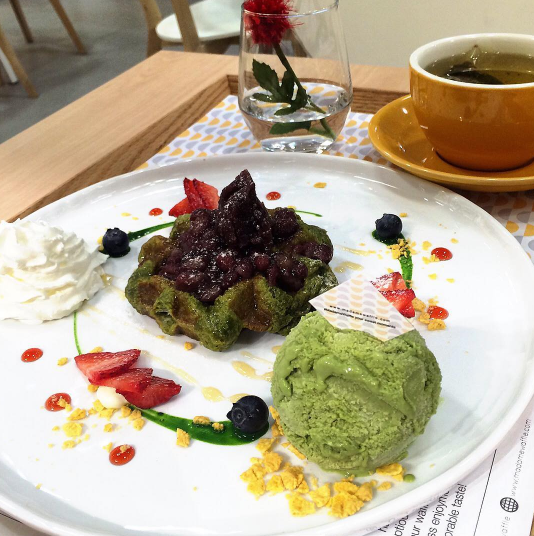 The matcha-flavoured waffle comes topped with gelato, strawberries, and azuki beans. 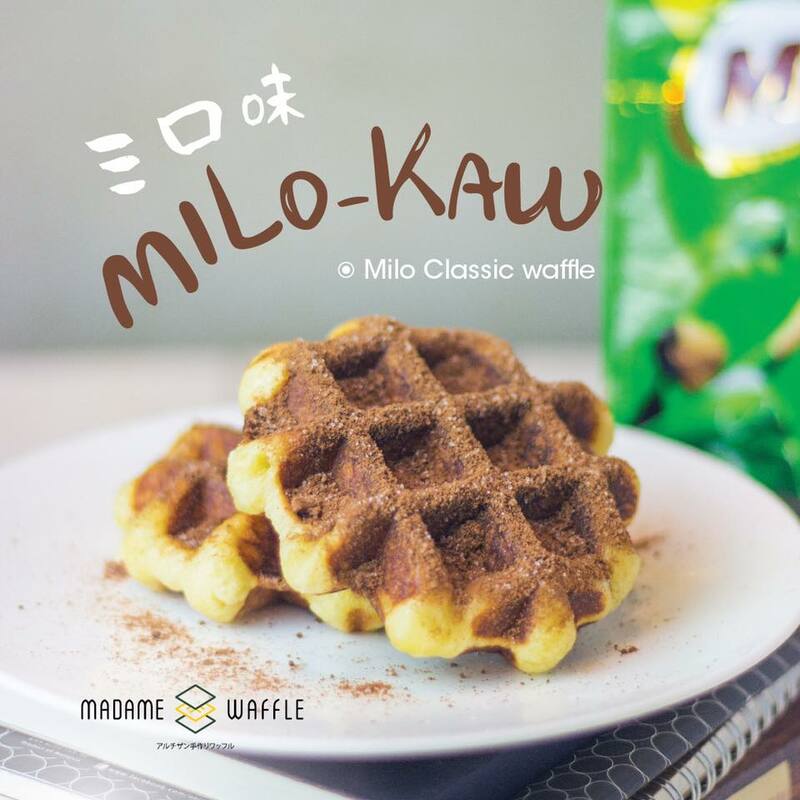 Madame Waffle is also a great place to check out for some Malaysian-inspired Belgian waffles, like the exciting Milo Kaw as well as the sweet and rich Kaya flavour. For a mouthwatering mix of sweet and savoury, drop by The Brew Orchestra for a taste of their signature Uptown Waffle. 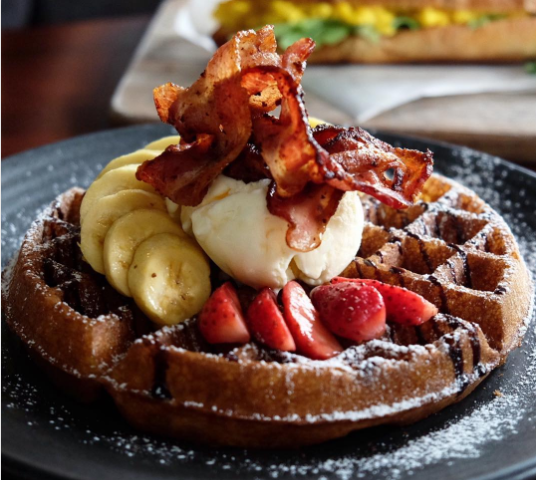 Enjoy your sugar-dusted waffle with slices of bananas and strawberries, a scoop of ice cream and a few pieces of maple bacon. 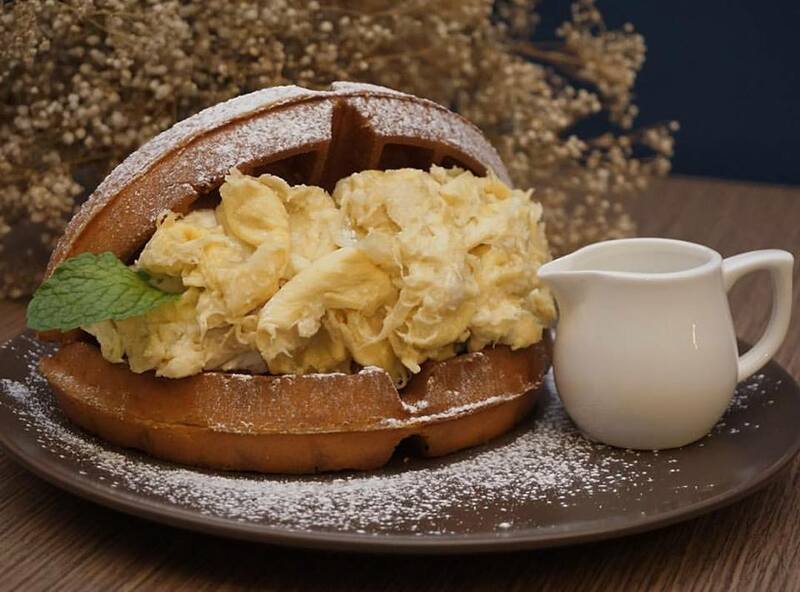 If you can't live without durian, then you'll love the cafe's unique limited-edition waffle. The Durian Waffle is a real treat, with fresh durian flesh being the creamy filling between the fluffy sugar-dusted waffles. 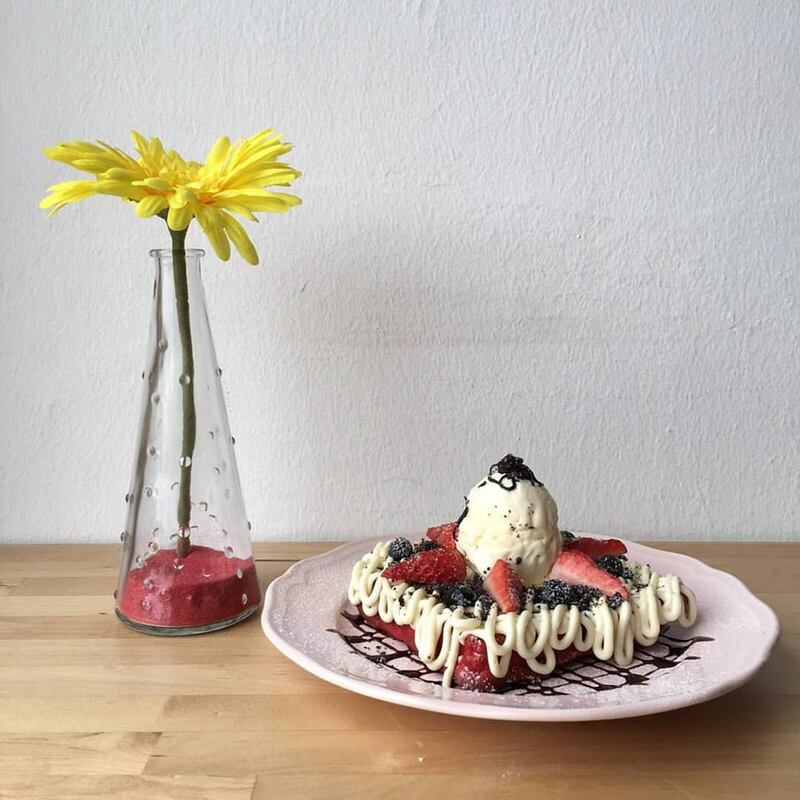 This cute cafe keeps their dishes fresh and colourful, like this platter of mixed fruits waffle. Enjoy the Liege waffle with a dollop of yoghurt, a mix of kiwi and strawberry, and a drizzle of maple syrup. Sometimes, all you need is a good ol' plate of warm waffles served with a cube of butter and a drizzle of maple syrup, and The Bold Lab is just the place for that. 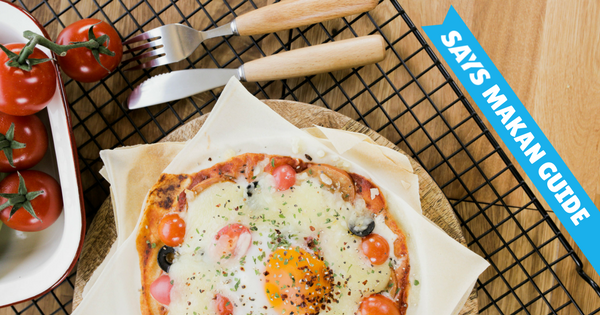 If you are in the mood for something more imaginative, you can check out their salted egg yolk or green tea waffles instead! For when you need that plate of nasi lemak.